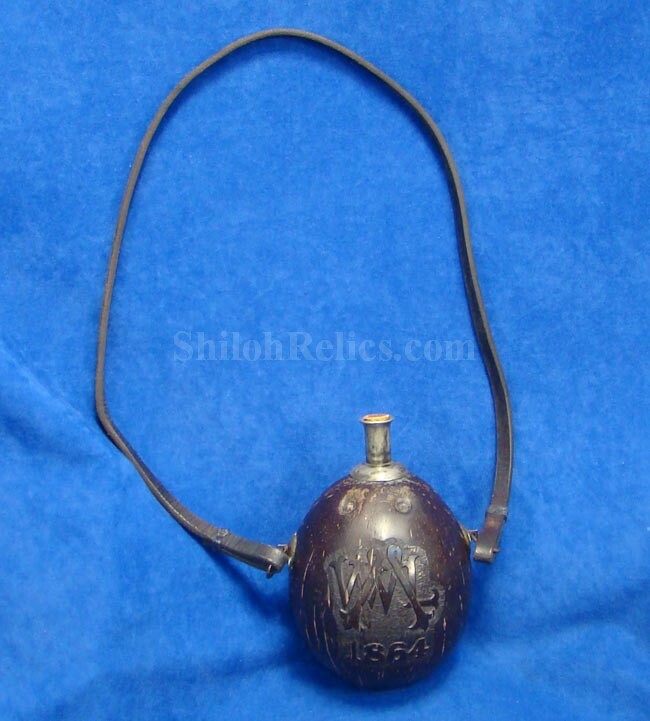 It isn't often that you find a Civil War artifact that is truly unique but this is definitely one of them. 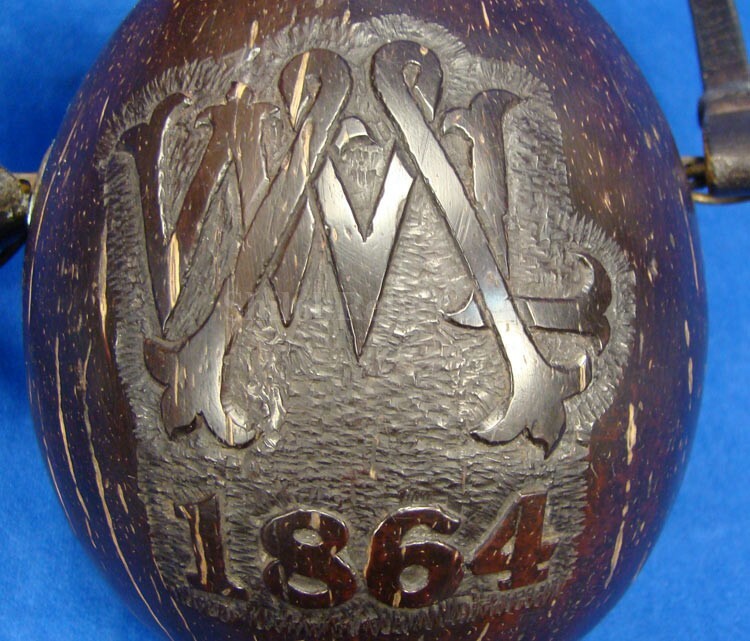 This is the carved canteen that belonged to Confederate Naval Commander William Lewis Maury. This campaign is exceptional in every way. 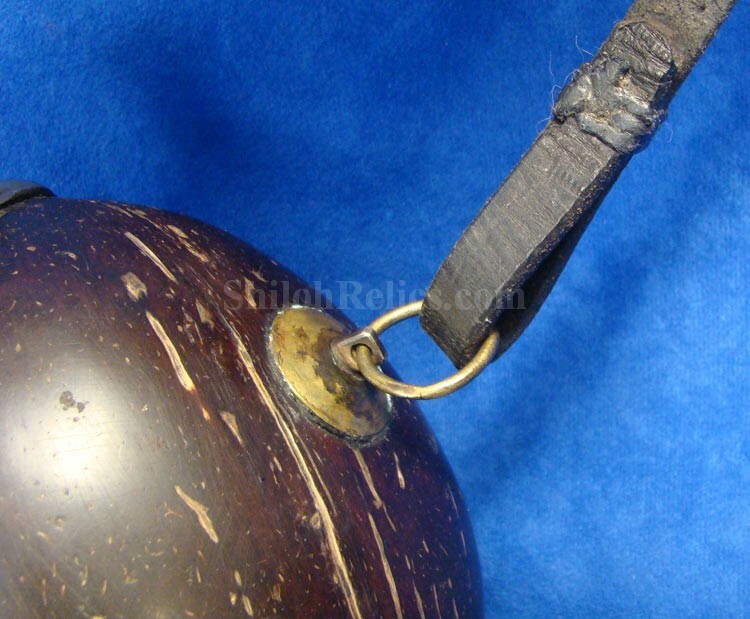 The piece is constructed using a coconut for the body of the canteen. Each side is beautifully relief carved by the artist that produced this work of art. 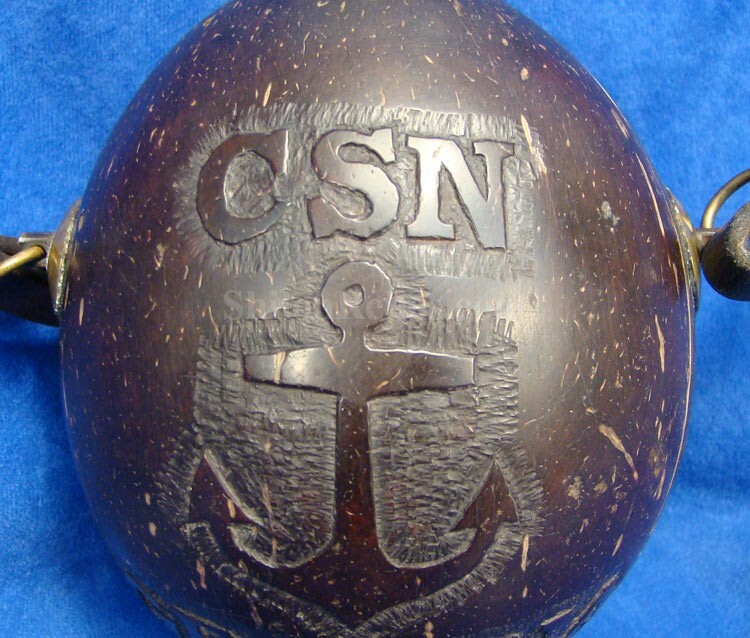 The front side has the "CSN" lettering for Confederate states Navy as well as the beautifully carved anchor below. 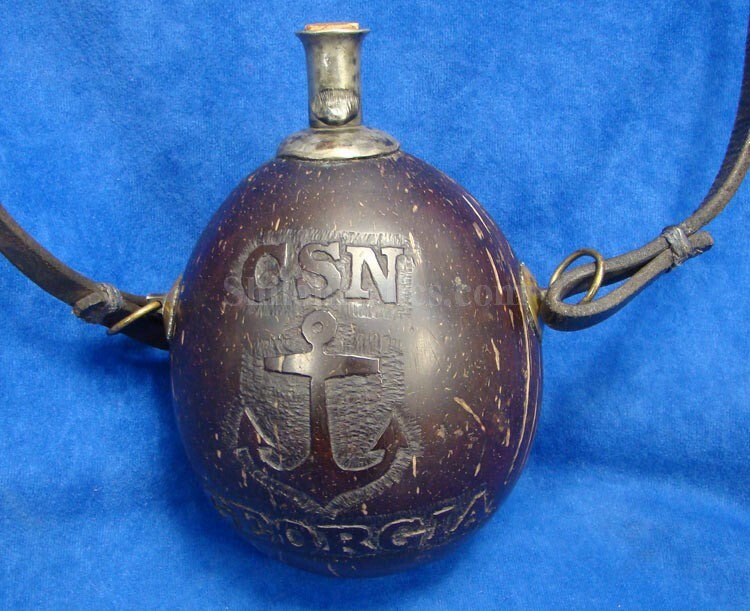 At the bottom it has "GEORGIA" which denotes the Confederate Sailing Ship Georgia that was commanded by William Lewis Maury. 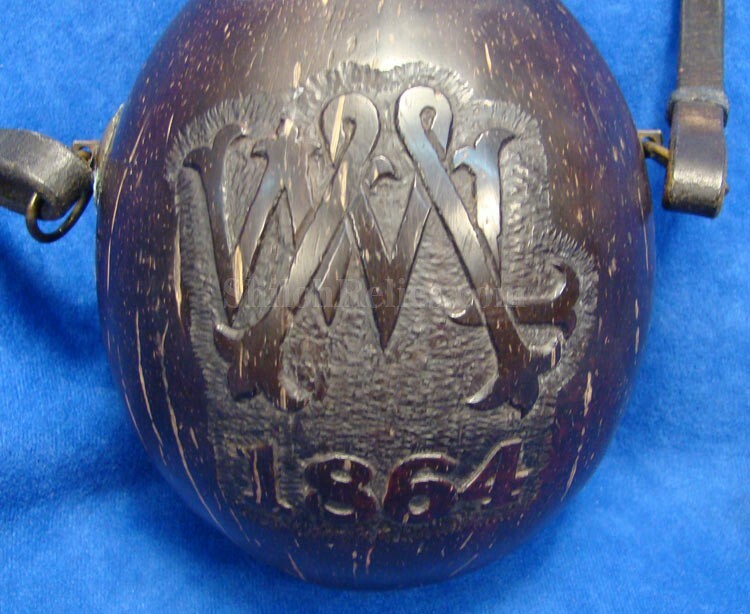 On the backside of the canteen it has the relief carved initials "WLM" of Commander Maury and the date of 1864. 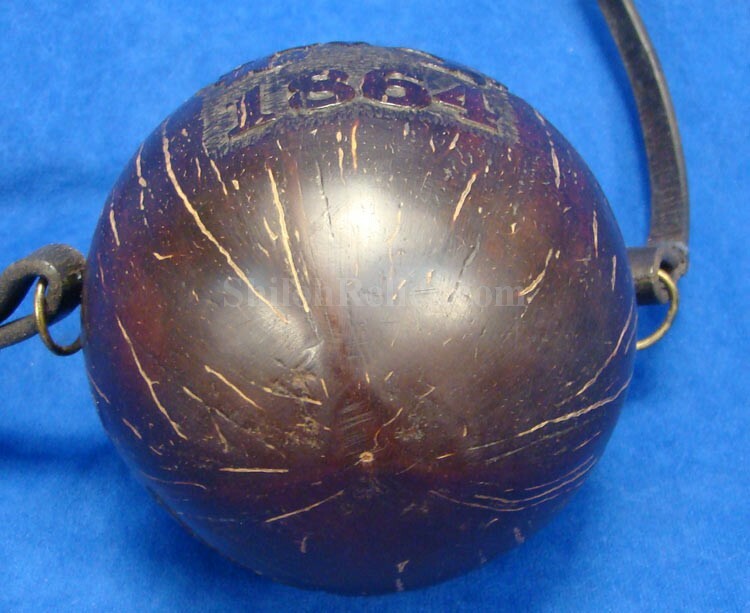 Maury was serving in the U.S. Navy when the Civil War broke out. 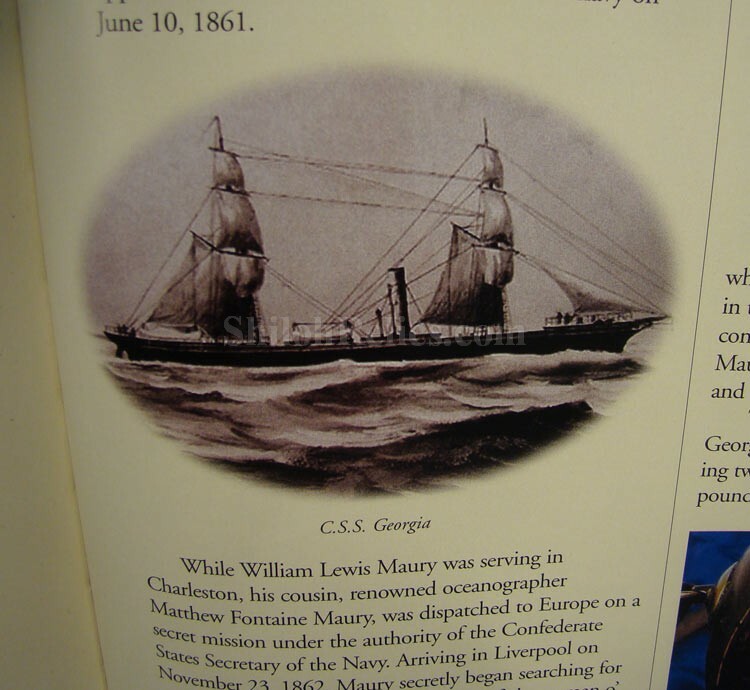 William Maury went to England with his cousin Matthew Fontaine Maury and was able to acquire the Scottish built Japan which would be rechristened as the CSS Georgia. 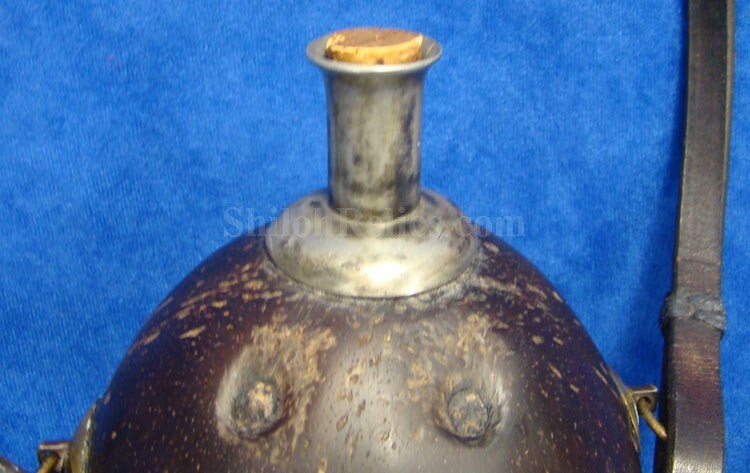 The ship was armed with 5 cannon all of which were Whitworth rifled cannons. 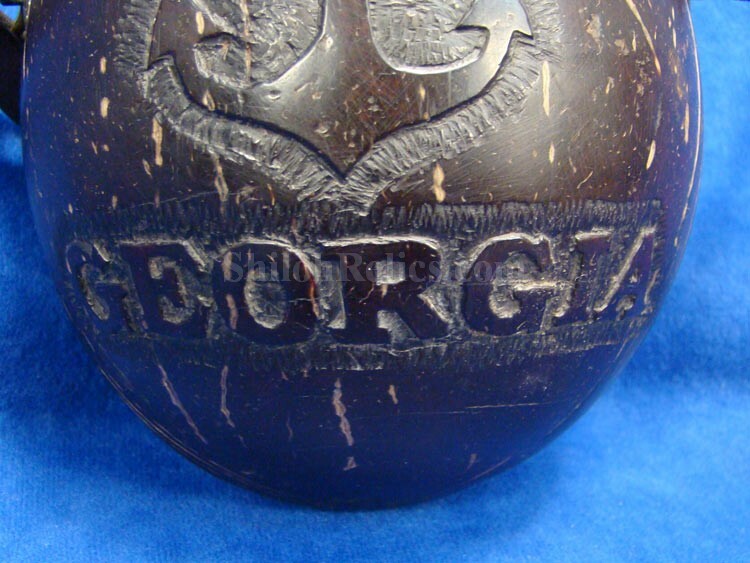 During 1863 the Georgia was commanded by Maury and captured and or destroyed $431,270 worth of US shipping. 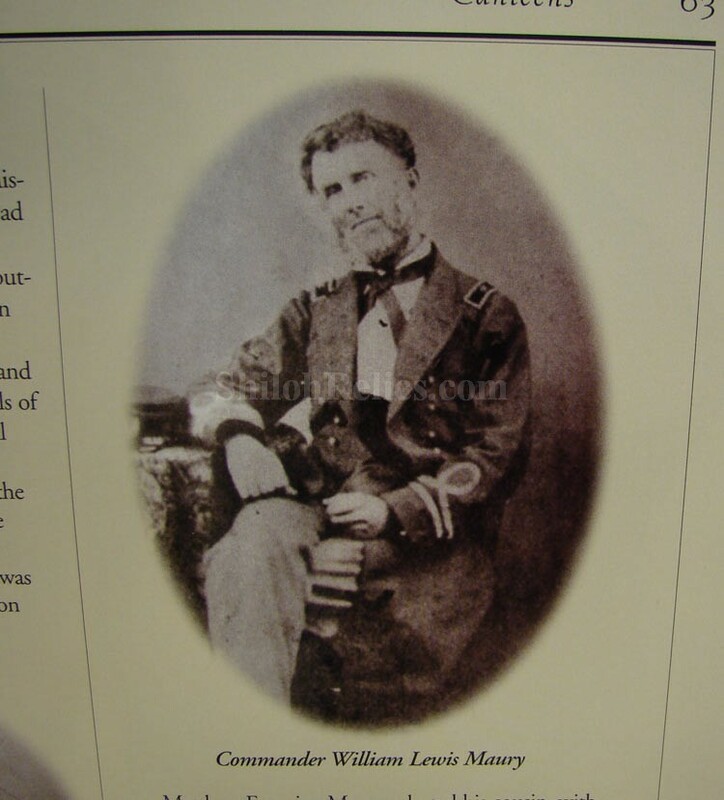 Commander Maury took the ship into Cherbourg, France in later 1863 where it stayed until early 1864 when the commander resigned from duty. He had been sick since late August. 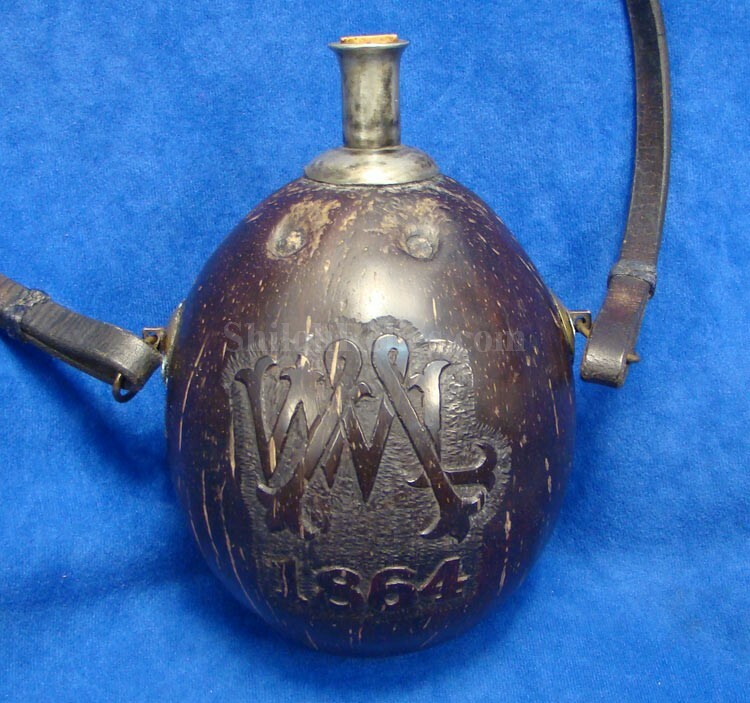 The 1864 date on the canteen could let us know that this piece was given to him when he left the ship. 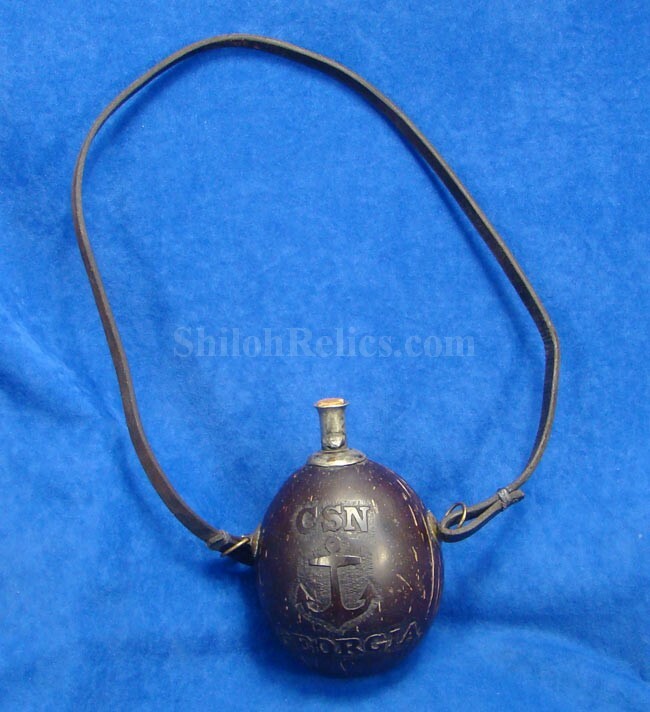 Each side of the canteen are constructed of brass with the silver wash and it has the original leather carrying strap. 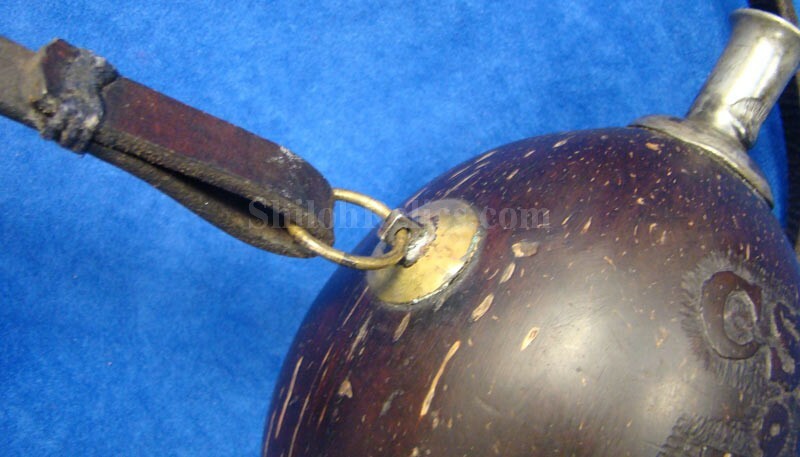 At the top of the piece it has the silver spout still intact with the stopper present as well. 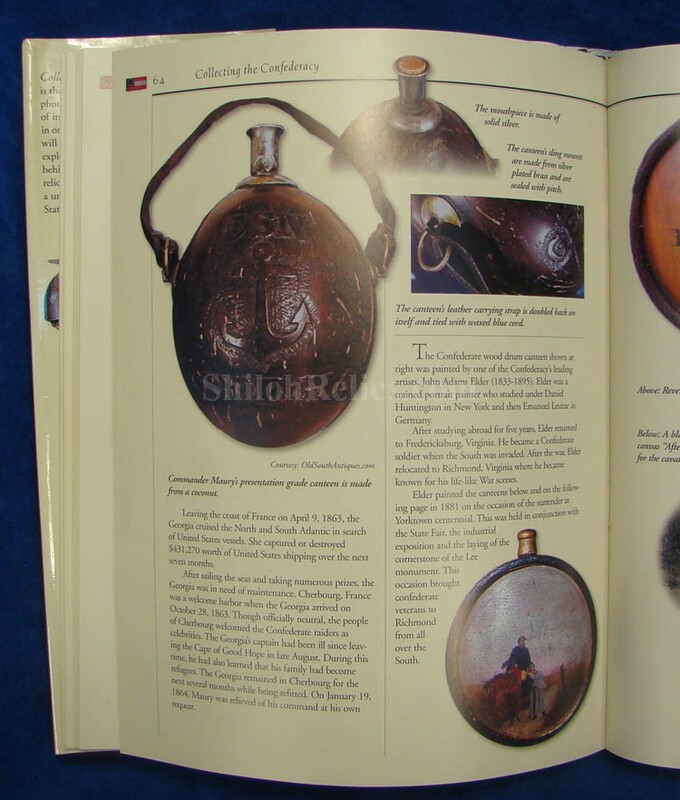 This beautiful piece is described and illustrated on page 63 and 64 of our friend Shannon Pritchard's book entitled Collecting the Confederacy. 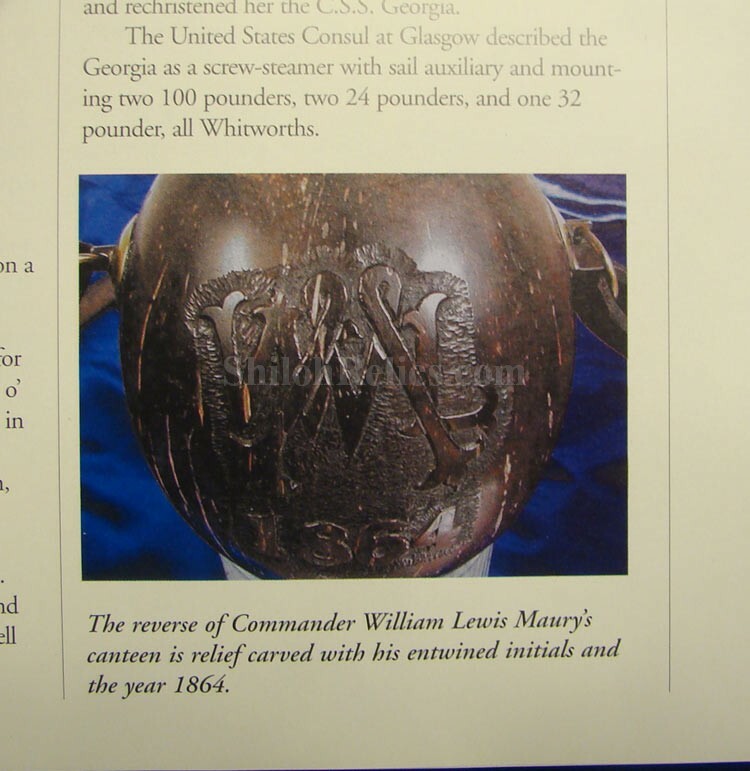 The piece is accompanied by information on Confederate Commander Maury as well as the CSS Georgia. 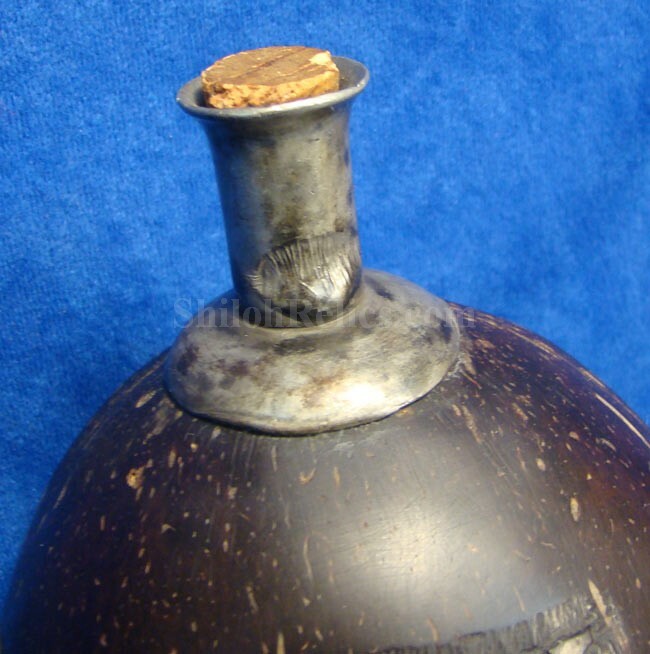 This is truly one of the most fantastic artifacts we have ever had the privilege to offer.